With a wide range of activities designed to engage large muscle development and small manipulative skills, our staff will engage your child in arts and crafts, coloring, singing, finger plays and much more. Your child is growing up fast and ready for a little more independence, our preschool program will be a perfect introduction. When visiting Elite Childcare Academy a parent can expect to be welcomed at the door. They will pass through our security system and check in utilizing our Childcare Manager software. A new client will have a greeting package that outlines our policies and procedures. Within the package a survey for each child is included to assist us in learning about your child’s interests, favorites and fears. You’ll also find survey information pertaining to your expectations of your child’s development and the supporting roles of their teachers and class schedule. At Elite Childcare Academy we have an open door policy. That not only means that parents can visit their children anytime but they can meet with the director with any concerns or questions at any time as well. Our parents’ partnership with early child care providers is needed to be able to communicate at all times, so that we can each assist with development. Another way we want parents to be included is with our Parent Advisory Board. Here our parents will be able to feel safe to open up and discuss any ideas, suggestions and implementations that are built around our program. Our program is designed to develop children’s positive self-concept and help them grow and learn at their own pace. We offer educational experiences that seek to further the child’s physical and mental development. Learning centers with Elite Childcare Academy are designed to promote children’s language skills – listening and speaking – creative thinking, problem solving, number concepts, large and small muscle coordination and responsibility for caring for one’s self. Each day starts with circle time. Children will discuss who’s present and sing the welcome song, finishing in large group time with a daily “study” topic. Afterwards, students will be dismissed to choice time. Following lunch students continue their day with a read-along story time followed by small group time for their daily study activity. Family style serving allows children to serve themselves and encourages supervising adults to set a personal example and provide educational activities that are centered around foods. 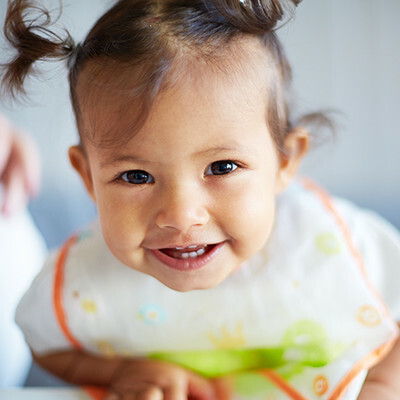 This approach allows children to identify and be introduced to new foods, new tastes and new menus while developing a positive attitude toward nutritious foods, as well as sharing in group eating situations and developing good eating habits. Our center has a large amount of both indoor and outdoor space for each child to explore and play. During the academic year we educate each child on hygiene and basic self-help skills. Our program is directed towards whatever each child can accommodate academically. Language and vocabulary are emphasized. With this, are the communication skills needed to function as an independent person in our society. Preschool is designed to prepare each child for enrollment in elementary. Parents will notice that our rooms are divided into small group sizes that rotate through different stations for the day. Our preschool, for example, is divided into two large groups with each having their own lead and assistant teacher. After large group time groups will be divided for smaller group sizes where the ratio of teacher to child will be intimate, thus allowing for that intimate hands on feel. Instead of just watching the children, our teachers are actively engaged with each child and are able to pick up on any cues, problems, concerns, delays, and progressions. Active learning and engagement is just part of your child’s day. Beside the use of the bulletin board and the monthly Parent Advisory Board meeting, our parent’s will be able to see everything pertaining to their child through a parent portal. Our parent portal is your resource for staying informed.